Back in 2009 I fell in love with the idea of having friends over on Halloween morning for a spooktacular cereal buffet. Everyone in their jammies eating Frog's Eyes, Bone Parts, and Bat Dropping. 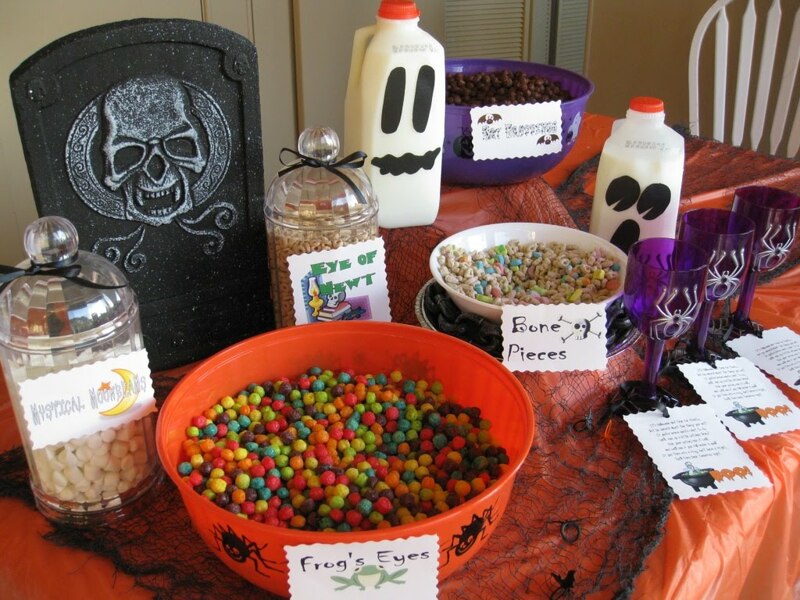 And now I am in love with the idea of a Saturday morning cereal and cartoon birthday party like this one from Mer Mag. 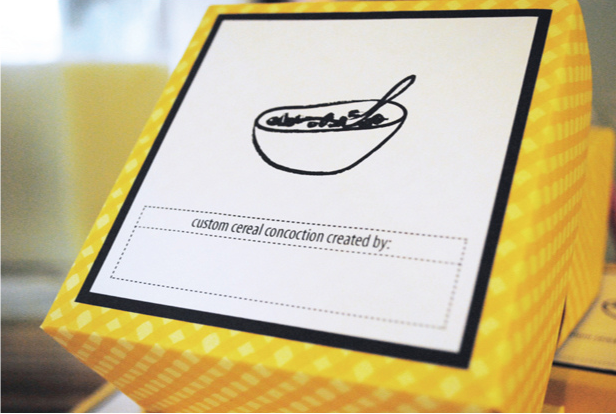 (I saw over at A Few of my Favorite Things) They actually referred to it as a cereal mixer because the kids got to make custom boxes of their own cereal mix. And even the cake was made from cereal. 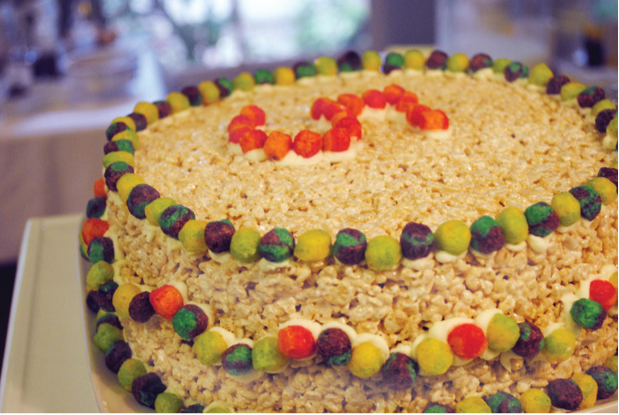 A giant rice krispie treat decorate with other colorful cereal. If I wait until 2015, Halloween will be on a Saturday and I can combine both ideas for Ruby's 8th Birthday. You can also see a girly version of the morning birthday party, a pink pajama breakfast, over at Inchmark Journal. So cute! 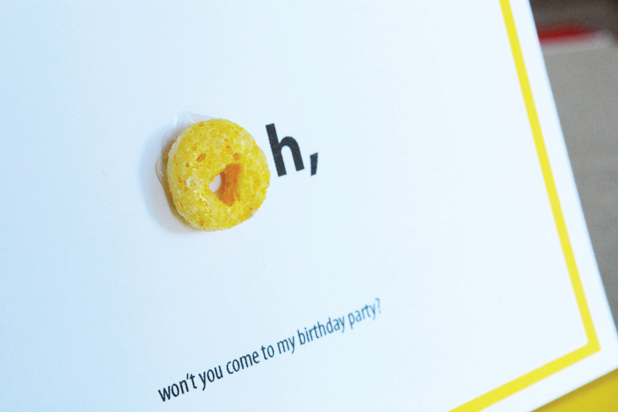 Love the idea of the build your own cereal & the rice krispy cake, FANTASTIC! I love cereals! and those ideas are super cute !